The global financial and economic crisis starting in 2007 has provoked the exploration of alternatives to neo-liberalism. Although neo-liberalism has been critiqued from various perspectives, these critiques have not coalesced into a concrete alternative in development economics literature. The main objective of this book is to name and formulate this alternative, identify what is new about this viewpoint, and project it on to the academic landscape. This book includes contributions from many prominent development economists who are unified by a form of "developmental pragmatism". Their concern is with the problems of development that preoccupied the pioneers of economic development in the mid-twentieth century, known as the developmentalists. Like the developmentalists, the contributors to Towards New Developmentalism are policy-oriented and supportive of institutional development and engagement with economic globalization. This collection has an over-arching concern with promoting social justice, and holds the general view of the market as the means to affecting an alternative program of development rather than as a master whose dictates are to be obeyed without question. 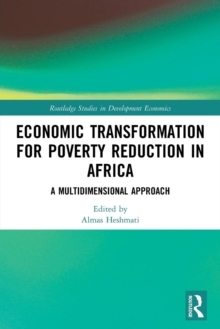 This important collection sets the agenda for new developmentalism, drawing on issues such as industrial policy, technology, competition, growth and poverty. 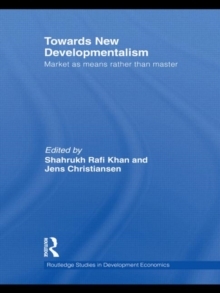 In broad terms, the economic development debate is cast in terms of whether the market is the master, an ideological neo-liberal perspective, or the means to affect change as suggested by the pragmatic perspective that is being termed neo-developmentalism. 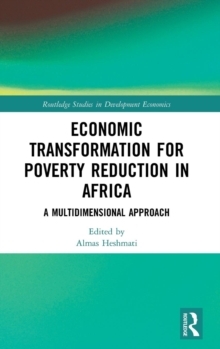 This book will be valuable reading to postgraduates and researchers specialising in the area of development studies including within economics, international relations, political science and sociology.